The all-new Outlander North Edition ATV is designed to be the ultimate ATV for cold weather. 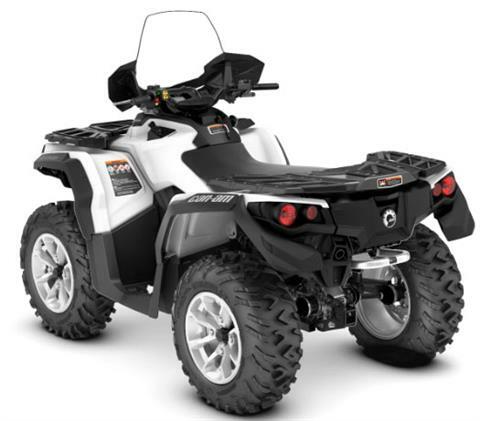 Get the all-terrain performance you'd expect from Can-Am. Extra protection from elements for added comfort. ROTAX V-TWIN ENGINE OPTIONS: Available with the 78-hp Rotax 850 liquid-cooled V-Twin engine, with four valves per cylinder and single overhead camshafts, the signature Can-Am engine lineup offers unmatched power for a true performance edge. WARN WINCH: This powerful winch with a 3,000-lb (1,361 kg) capacity is factory-installed and can handle the toughest situations. NEW 14 IN. (35.6 CM) CAST-ALUMINUM WHEELS WITH 26 IN. (66 CM) TIRES: New 14 in. (35.6 cm) cast-aluminum wheels with black painted finish for a superior look. The centerless design reduces unsprung weight and offers improved strength. The 26 in. (66 cm), 6-ply ITP Terracross tires feature a tread pattern that is aggressive enough to tackle tough terrain, yet provide a smooth ride. 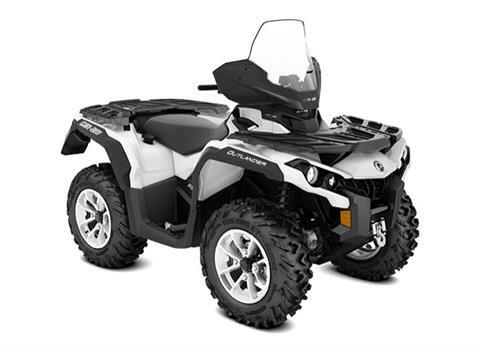 WINDSHIELD, MUDGUARDS, HEATEAD GRIPS AND VISOR OUTLET: The standard high windshield, in matching white finish, provides excellent protection form the wind and trail debris for both the rider’s face and hands. The easy mounting system lets owners remove and re-install the windshield with little effort. Mudguards deliver aggressive look while providing added protection from snow, dirt and debris. 4 temperature settings with individual controls for thumb and grips. Visor outlet that delivers fog-free riding.